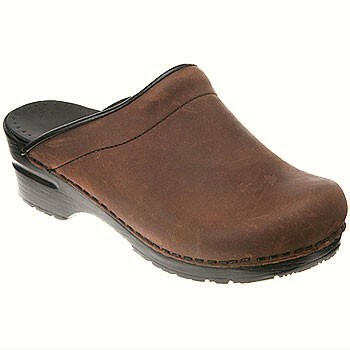 The Dansko Sonja has the same supportive anatomical footbed, natural shaped toe box and shock absorbing sole as the Professional in a more traditional European backless clog. Think of them as cute convertible Volkswagon Beetles for your feet. Looks like those crafty Danes have trumped the German engineers once again.